The 2018 Audi A8 has made it Middle East debut at the 2017 Dubai Motor Show. Audi is showcasing its all-new flagship saloon’s long-wheelbase version, the A8 L, at the show. The 2018 Audi A8 L measures 5,302 mm in length, 1,945 mm in width and 1,488 mm in height. The full-size luxury saloon is 37 mm longer, 4 mm narrower and 17 mm taller than its predecessor. Its wheelbase has grown by 6 mm to 3,128 mm. 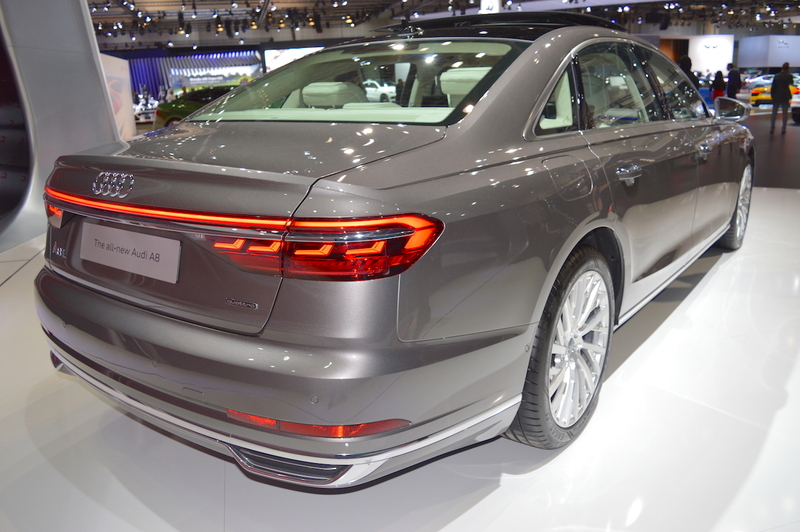 The evolutionary design of the new generation A8 L incorporates elements from the Audi prologue concept. HD Matrix LED headlights with Audi laser light, 21-inch wheels, homogeneous-beam OLED rear lights and panoramic glass sunroof are the exterior highlights of the all-new Audi A8 L. Inside, the car has 12.3-inch Audi virtual cockpit, dual central display setup consisting of 10.1-inch infotainment system screen and 8.6-inch screen for temperature and comfort controls, 4-zone climate control, ventilated front and rear seats with massage function, 5.7-inch OLED tablet rear seat remote and 1,920-watt, 23-speaker Bang & Olufsen Advanced Sound System. 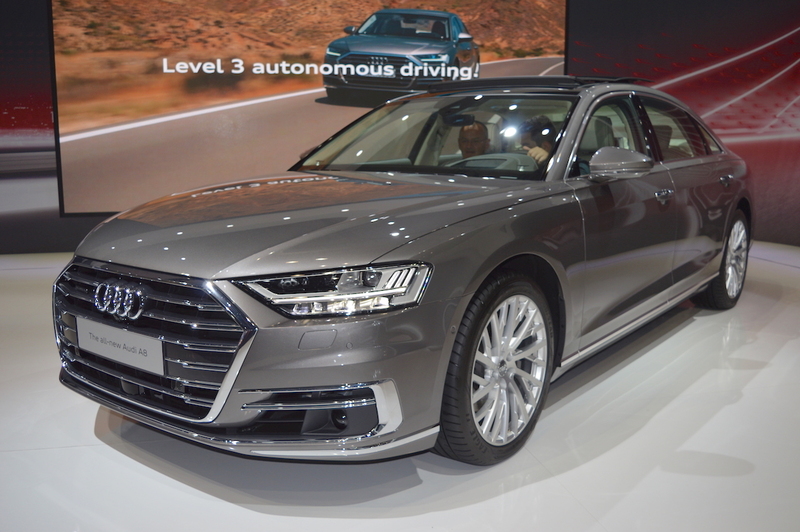 In addition to the aforementioned features, the 2018 Audi A8 L offers level 3 autonomous driving. It has Audi AI traffic jam pilot for autonomous driving on highways and multi-lane motorways up to 60 km/h, as well as Audi AI (remote) parking pilot and Audi AI remote garage pilot. The 2018 Audi A8 L’s production takes place at the Neckarsulm plant in Germany. Its Middle East launch should take place in early 2018.